A Car Fit for The King. You won’t find a bit of homage to the classic BMW 507 roadster in the Z4 Concept the marque unveiled at Pebble Beach for Monterey Car Week. 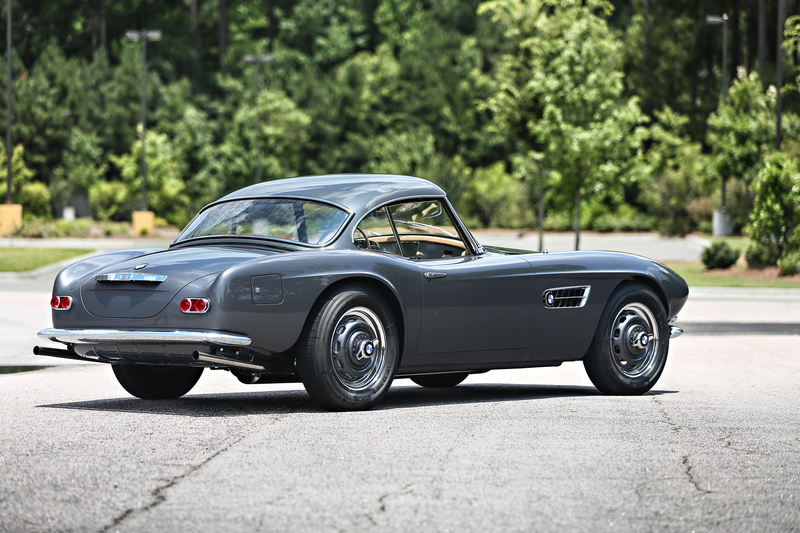 But it was still a case of good timing that a BMW 507 offered in the Gooding & Company auction set a world record for the model by selling for $2.75 million (above its pre-sale estimate of $2-$2.5 million). The 1958 BMW 507 Series II that sold was a car we’d been watching. The 507 has been steadily coming up in value, if not as dramatically as, say, some Ferraris. Even if the 507 did ot have the same sort of performance and racing pedigree as Ferrari or its archrival, the Mercedes-Benz 300 SL, its value as a widely admired automotive work of art, however, has never been questioned. The 507 shook up Elvis Presley while he was in Germany for his stint with the U.S. Army. He bought two, one of which is in the BMW Museum in Munich. Renowned racer John Surtees also owned a 507. 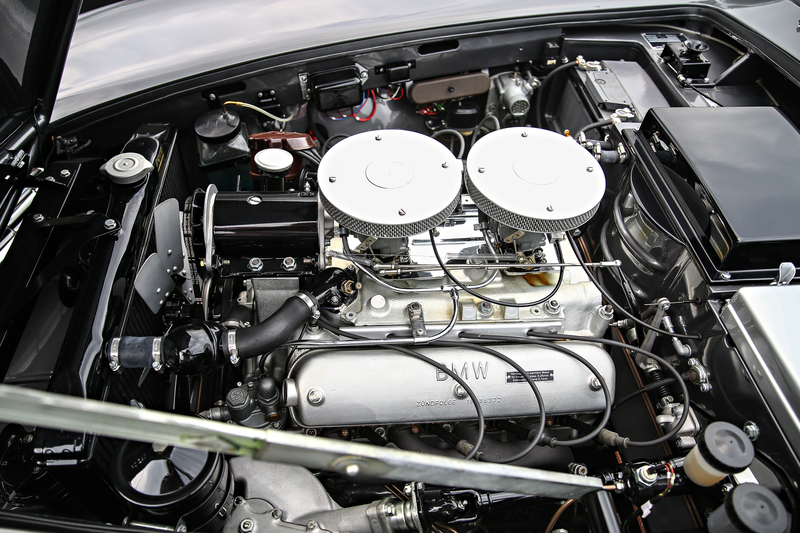 Built from 1955-1959, the BMW 507 was based on a shortened 503 chassis, its body built from aluminum. Because the 507 was hand-built, there are differences from car to car. The BMW 507 was never intended to be an “ultimate driving machine” in the sense of a Ferrari 250 GT or the 300SL. 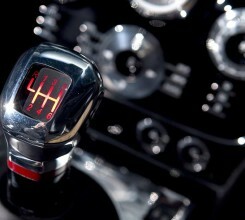 Its jewel-like 3.2-liter V8, with just 150 horsepower (later, 160) was never going to put it into the record books for speed. Teamed to a 4-speed manual transmission, the alloy V8 could take the 507 from zero to 60 in about 9-10 seconds and on to a top speed around 120 mph. But just look at that design! Penned by Albrecht Goertz, the 507 stunned upon its debut at the 1955 Frankfurt Auto Show and has not stopped turning heads since. Interestingly, the impetus for the BMW 507 is credited to the same individual as the Mercedes 300SL Gullwing. Max Hoffman, the importer for both marques back then, had persuaded Mercedes to build a production version of its Le Mans-winning W194 racecar, which became the 300SL. Not long after, he convinced BMW to issue a roadster as a flagship model for affluent buyers in The States. Hoffmann, however, envisioned a price of around $5,000. The hand-built 507 cost $9,000 in America and later exceeded over $10,000 – perhaps too high for the car’s performance level and lack of racing pedigree. 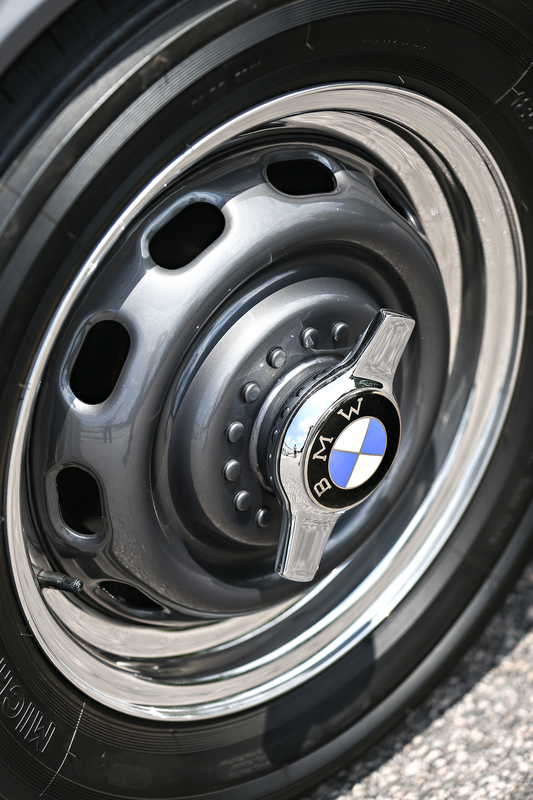 At the time, BMW was getting back on its postwar feet, and it’s model line consisted of an odd combination of the Isetta bubble car (licensed from Italy’s Iso) and the 501 sedan and 503 coupe and cabriolet. There was nothing in between, and the prestige models, including the 507, nearly wrecked BMW, which was rescued by investment from the Quandt family in 1959. BMW made just 252 of the 507 model. 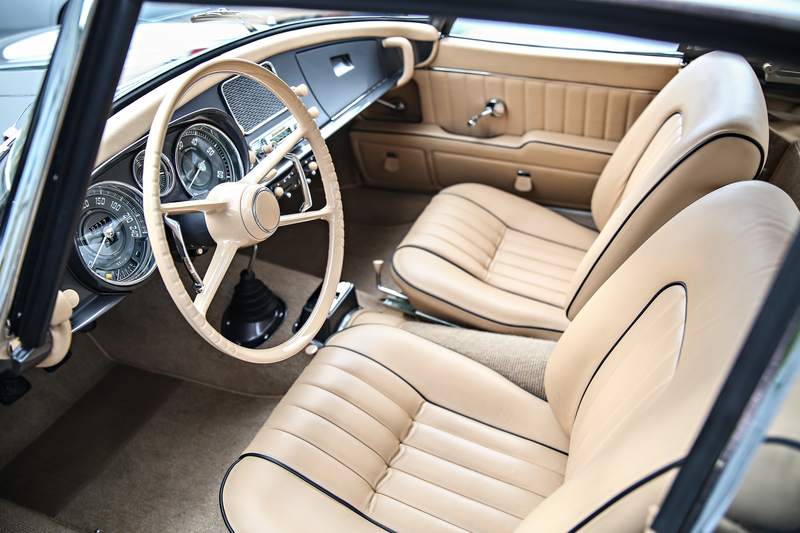 Series II versions, like the Gooding car, featured a smaller fuel tank under the trunk, rather than behind the seats. 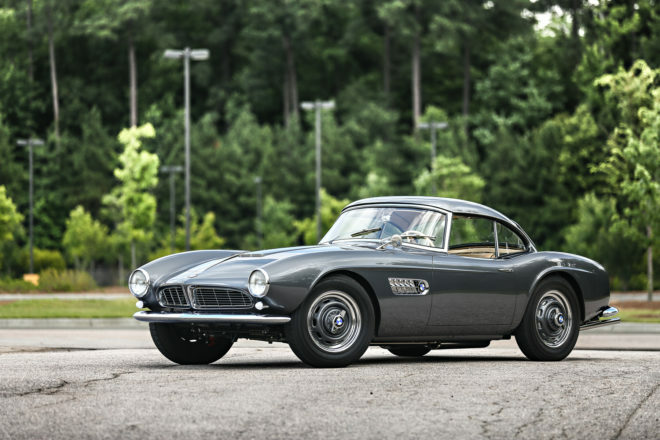 The Gooding sale’s record-setting BMW 507 was built in October 1957 and delivered in New Jersey in February 1958 to its first owner, Abraham Eckert of Langhorne, Pennsylvania. It made its way back to Europe in the 1990s, first The Netherlands and then Germany, where it was restored in 2015. 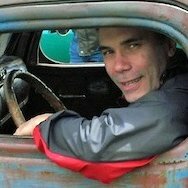 The car returned to the U.S. afterward. The Graphite Gray Metallic over a beige interior with black piping is a great look for the 507, and this one came equipped with the optional knock-off wheels and rare aluminum hardtop. Its original color was Federweiss (Feather White).